Can I use a Magnifying Glass? 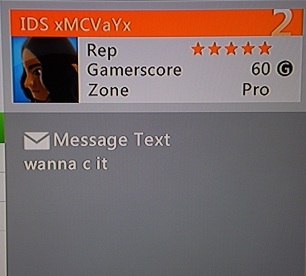 IDS xMVCaYx is just another random exhibitionist wanna-be. 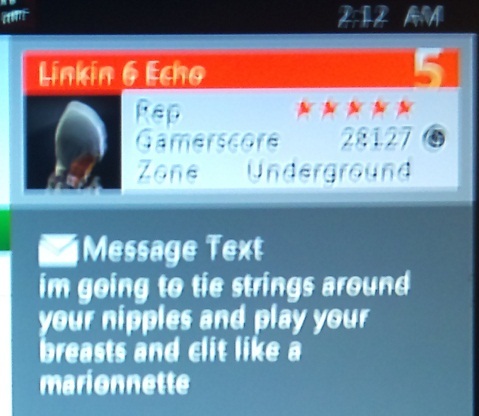 Linkin 6 Echo sent several messages to our submitter and we’ve already posted a couple of them. This one is a little bit blurry so we have helpfully provided audio assistance. 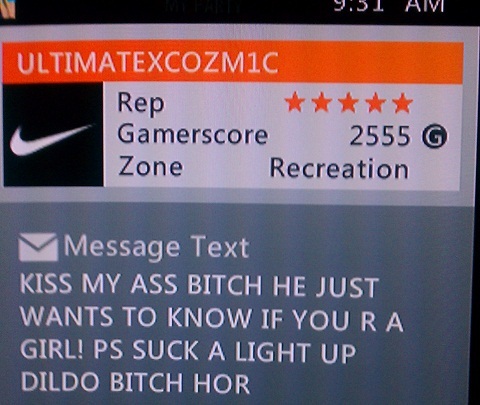 Tpowow took time out of his busy raid schedule to express heartfelt concern for another player’s well-being. ULTIMATEXCOZM1C is just calmly explaining the situation at hand.